GREAT VIEWS, GREAT LOCATION! The ONLY detached single family home of all 7 homes in Mitchell Lofts. Fantastic restaurants and retail close by. 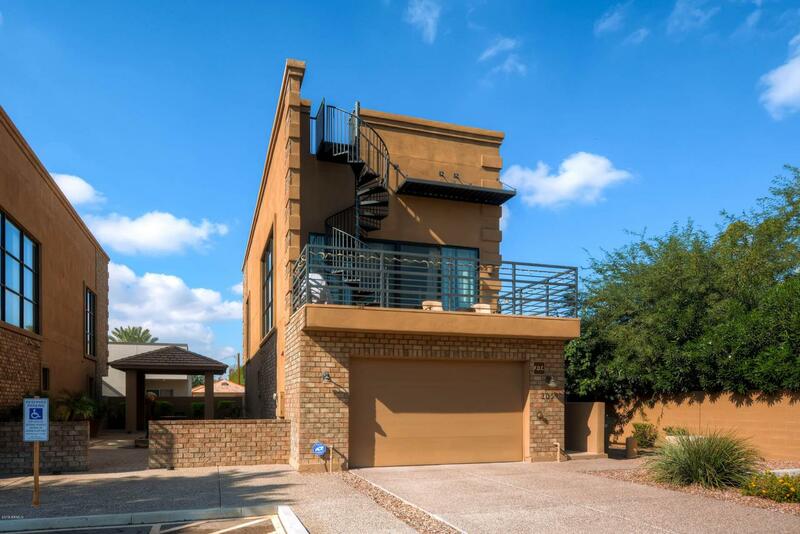 Amazing roof top deck accessed by spiral staircase, 2 car garage, fabulous balcony patio off of living room. Beautiful kitchen with Jennair chef appliances. Stainless, granite, all the bells and whistles. Perfect floor plan. GREAT community! Listing courtesy of Jr Jones Realty.